Note: This is the bound book only and does not include access to the Enhanced Pearson eText. To order the Enhanced Pearson eText packaged with a bound book, use ISBN 0134303717 . This widely popular guide provides numerous ready-to-use strategies and ideas based on best practices to link culture and language to school success. The book focuses on helping the millions of English learners nationwide who need instruction that develops their English-language proficiency while they acquire the content knowledge needed to succeed in today’s standards-based environment. Readers get a practical look at cultural values and beliefs that impact schooling. 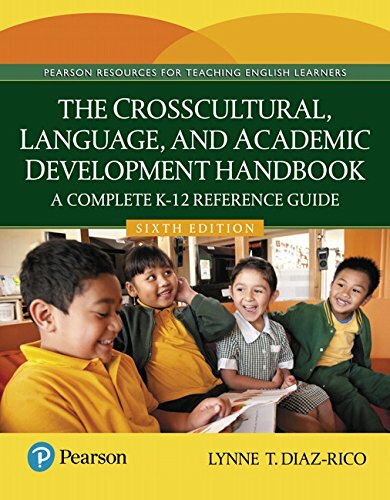 The title combines theories of culture with theories of language acquisition to provide a powerful set of teaching techniques for content areas and English language arts. Also included are special education adaptations for English learners to give teachers and administrators additional back-up support for complex educational challenges. Featured in the new edition are applications for mobile learning, coverage of Common Core Standards, Response to Intervention strategies, interventions with autistic English learners, coverage of equity issues for undocumented immigrants, and a new chapter on family-school communication. The Enhanced Pearson eText features embedded videos and Check Your Understanding quizzes.